The LindenGrove Foundation’s mission is to bring joy to all LindenGrove residents. Your financial support to the foundation, makes a difference. Join us at our annual fundraisers. We're always seeking ways to improve the quality of life for LindenGrove residents. Watch our video to learn more about our latest project to fund connecting corridors between our buildings. Would you like to contribute to this exciting project? Established in 1999 as a 501© non-profit organization, the LindenGrove Foundation is managed by local volunteer Board of Directors, elected to staggered 3-year terms. The mission of LindenGrove Communities is to restore and enhance the well-being and quality of life for those we serve. 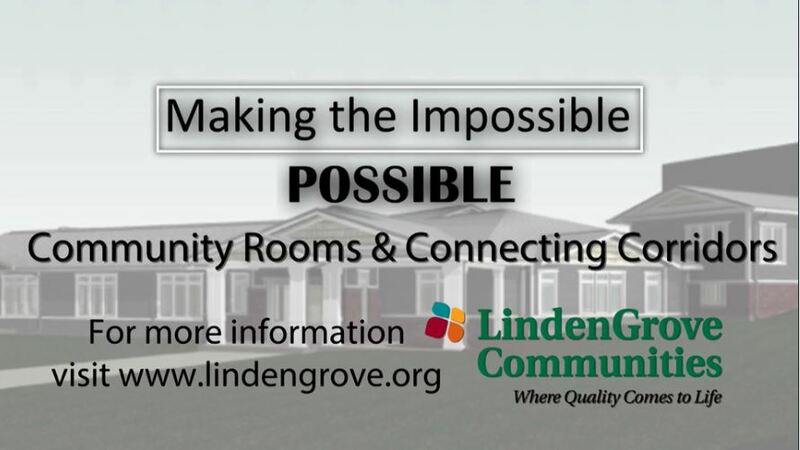 LindenGrove Communities will be recognized nationally as a leader in providing high-quality, affordable residential and health services.